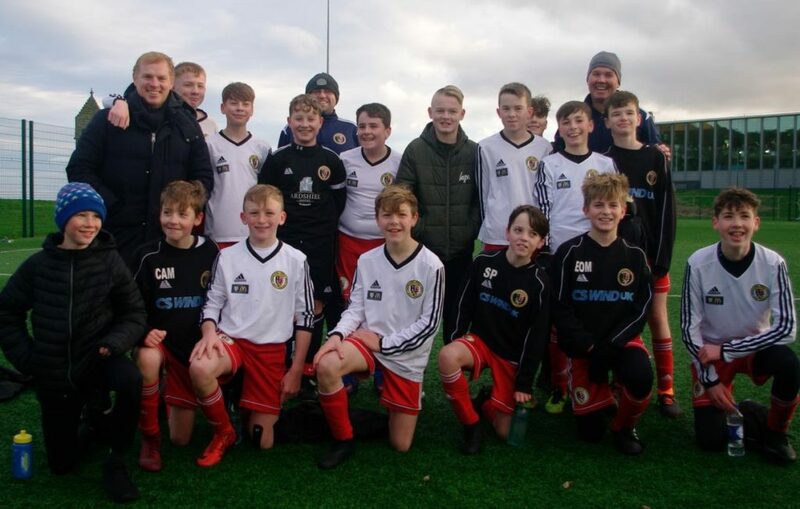 Despite going down 8-1 to a very impressive Drumchapel Utd the Pupils Youth 2005s (U14s) can be very proud of their efforts. 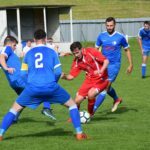 With eight players unavailable due to being away, injuries and illness the the game could have been cancelled but with the help of a couple of old players who stepped in, coaches ensured the game went ahead. A spokesperson wrote on Facebook: ‘We’ve always said to the boys you never know who is watching. Lennon was happy to have his picture taken with the boys after the game and said nice words of encouragement. 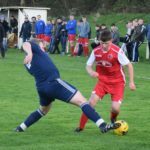 Rural football in Scotland continues to play a great part in the development of football in Scotland and it is great the West Dunbartonshire side visited Kintyre. They played superb football and it was a great experience for the U14s. Despite the loss the Pupils battled well and arguably produced the goal of the game. 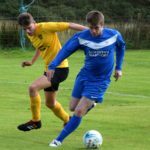 Calum Ellis dribbled through a maze of players before passing to Cameron McMillan from Carradale to score his first goal of the season.